In the target project site, only about 50% of the rubbish is collected, and the rest is left along the riverside or in lowlands. This uncollected rubbish is scattered by scavengers and animals, leaving an unhygienic environment. 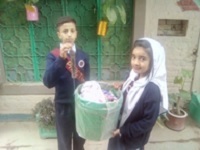 To improve this situation, elementary school students from 4 schools in the local area have started initiatives to clean up the rubbish and recycle resources that are thrown away. 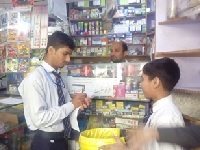 They have also been conducting awareness raising initiatives to workers at the local market and residents in the neighborhood. 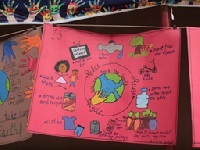 To educate and train school children in responsible consumption and production.